A thick, fibrous gel that when dry gives the effect of flexible fibers with a matte sheen. 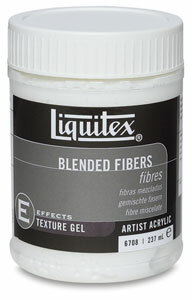 Great for adding texture and body, it holds unusual peaks and knife strokes when mixed with color. Works best when applied with a palette knife or trowel.